We are living in a kind of time-warp. If the International Monetary Fund is to be believed, the world has never been more prosperous than it is today. A World Bank policy paper of 2012 claims that billions have moved out of extreme poverty. Really? The paper admits that 1.2 billion people still (in 2012) live on less than $1.25 per day and yet tries to argue that extreme poverty is on the decline. Here's the grim reality: About 10% (600 million) of the world's population lives on less than $1 per day. Nearly 50% live on less than $2 per day. And yet, we are expected to believe that billions have moved out of extreme poverty. Next, look at the turmoil going on in different parts of the world. Nationalist tendencies are being exhibited in various forms. It appears as if the gains of global economic integration that have evolved over the last three decades may be lost. I consciously avoid using the term "globalization" because even at its zenith (as reflected in Thomas Friedman's book The World is Flat) real indicators of the free movement of all factors of value creation were nothing to rave about (for an excellent dissection of the illusion of the flat world, please read Pankaj Ghemawat's Redefining Global Strategy: Crossing Borders in a World Where Differences Still Matter). (Sufiya Begum is a maker of bamboo stools in a developing country. She needs twenty-two cents to buy the raw materials for making the stools. Since she does not have the money, and does not have access to institutional finance, she has to borrow it from middlemen, and is forced to sell the completed stool back to them as repayment of the loan. What does she have to show for all the effort? Two cents. 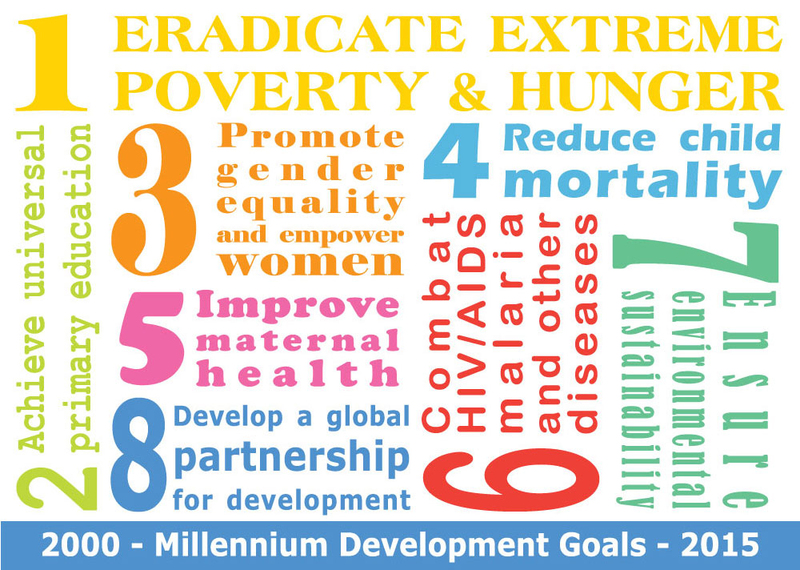 How can she break away from this vicious cycle of extreme poverty? How will she send her children to school? What do the world's largest financial institutions have to say to this sad and eminently avoidable calamity? In another part of the world, Kevin Taweel is about to graduate from an Ivy League business school. Although he can get an attractive job at a fancy salary, he wants to be his own boss. Along with another like-minded fellow graduate Jim Ellis, he sets up a Search Fund and raises $250,000. It takes 18 months for the pair to identify a target - Road Rescue, an emergency road services company. The owner wants $8.5 Million to sell out. Kevin and Jim are able to raise the money from institutions and the original investors of the Search Fund in just 24 hours. Kevin and Jim manage the company very well. Within six years, revenues sky-rocket from $6 million to $200 million. Kevin and Jim buy back the shares from the original investors at $115 per share on an investment of $3 per share. Everyone is happy). It is clear that we neither want to learn from history nor do we want to find solutions to problems. Japan continues to be in a tailspin and you are left wondering what happened to the innovations that were being churned out with clock-like precision. As Professor Clayton Christensen has noted, the only innovation that has come out of Japan in the last twenty years is the Nintendo Wii. No one is sure what the consequences of Brexit are and nationalist forces are raising their head across Europe and across the Atlantic as well. The reality is that in an era that is marked by rapid technological change, where new jobs are not being created and existing jobs are being partially or fully automated, and increased pressures on cost mean that it is very difficult to have appropriate increases in real income, we continue to measure growth with clearly outdated concepts such as GDP. The real wealth of a country today is no longer confined to goods and services. Value creation is often in tacit knowledge, imagination, and the ability to make meaning out of extremely large amounts of what appear to be chaotic data streams. How do we factor these into our economic measurements? Let's face it. Inequalities have increased - between urban and rural communities, young and old, educated and otherwise, and any other measure of your choice - globally, 1% of people control 50% of the world's assets (Global Wealth Report, Credit Suisse Research 2015). Rich Lesser, Martin Reeves and Johann Hamoss of the Boston Consulting Group (BCG) argue in their excellent analysis (Saving Globalization and Technology from Themselves, July 2016) that it is up to corporations and leaders to change track and set a new agenda to shape the future. They offer a seven-pronged approach to shrink the inequalities and to usher in a new global order. Among these, I find the arguments for a "Social Business Mindset" and "Investment in Human Capital" particularly compelling. Of course, the call for an emphasis on pro-social goals is not new. Professors Julian Birkinshaw, Nicolai Foss and Siegwart Lindenberg have shown in their paper Combining Purpose With Profits (MIT Sloan Management Review Spring 2014) how firms with pro-social goals can have superior performance and also happy stakeholders (customers, employees, suppliers, shareholders, and society). Unfortunately, there is not much evidence that leaders are listening. Is it any wonder that people are angry?